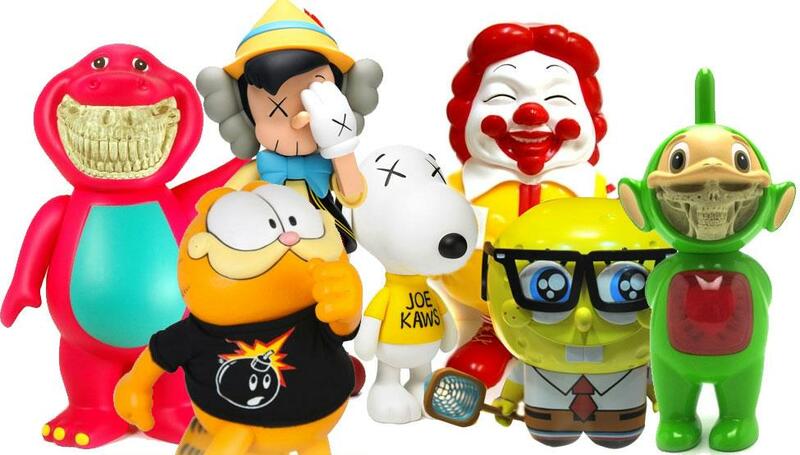 A streetwear brand makes minimal changes to Garfield, and boom, the comatose cat is now an urban vinyl skateboarder. 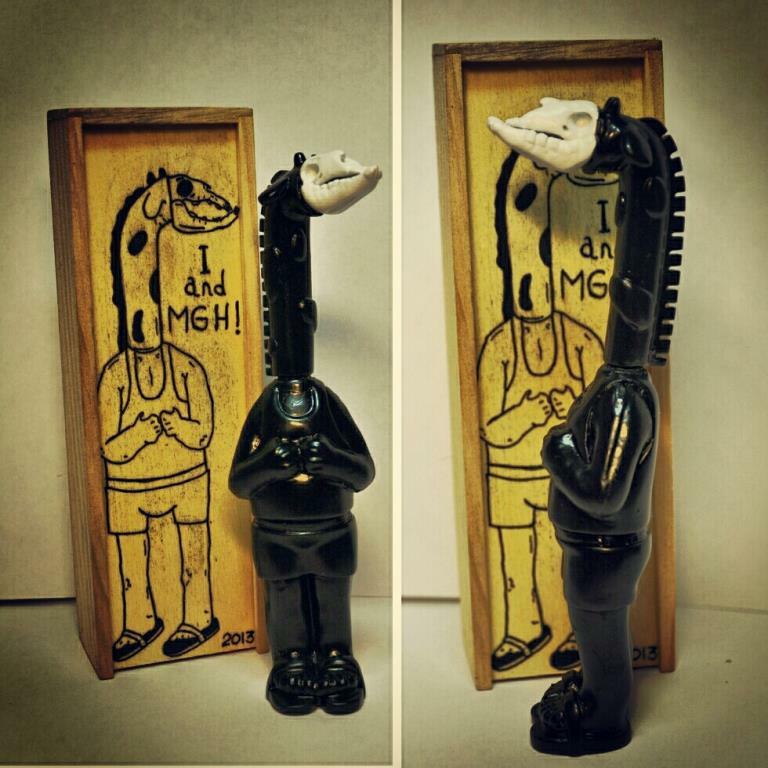 Ron English adds a skeletal grin to a familiar purple dinosaur, and it’s transformed from kid’s toy to designer toy. 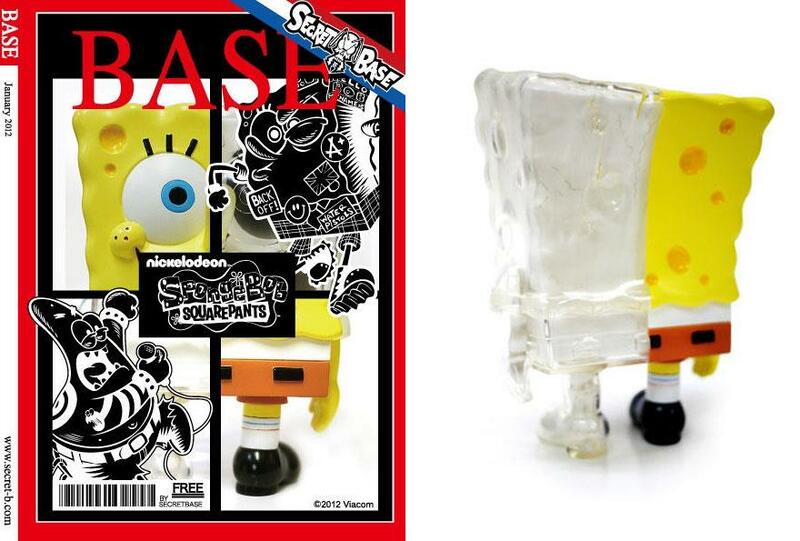 Last year, everyone from SecretBase [here] to Unbox Industries [here] to UNKL [here] courted a Spongebob Squarepants license. And KAWS, bless his hype machine, released his laziest cross-eyed toy yet: Joe KAWS. 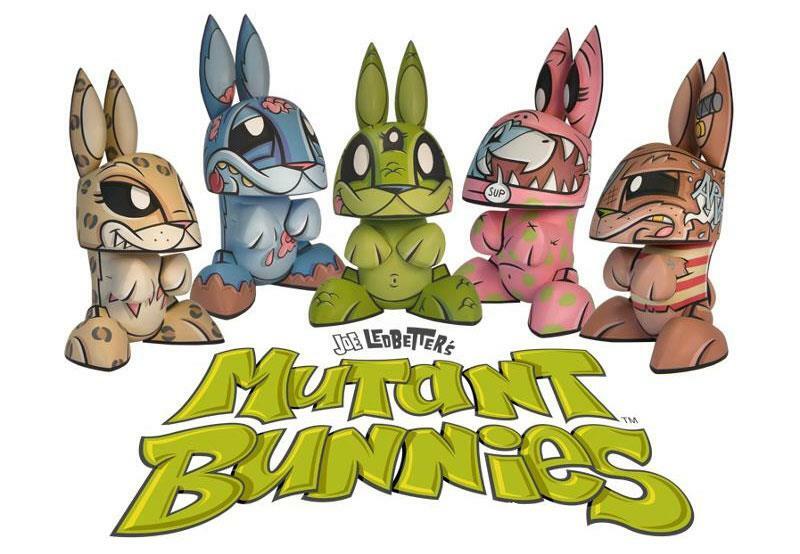 Designer toys are starting to look a lot like Saturday morning cartoons. So what’s really separating the kids toys from the “art toys”? 1) Price and 2) Parody. 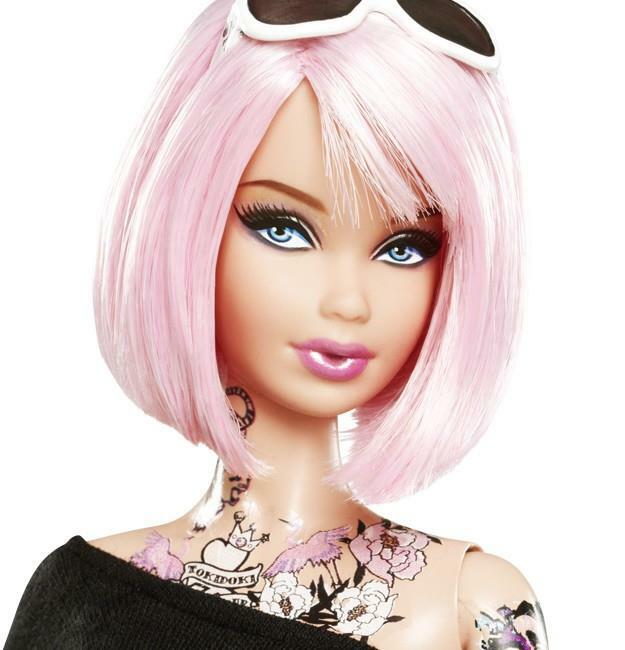 Price is an individual matter, but in my experience, toys for kids cost significantly less than collectible designer toys marketed toward adults. To “parody” means to “produce a humorously exaggerated imitation of”. 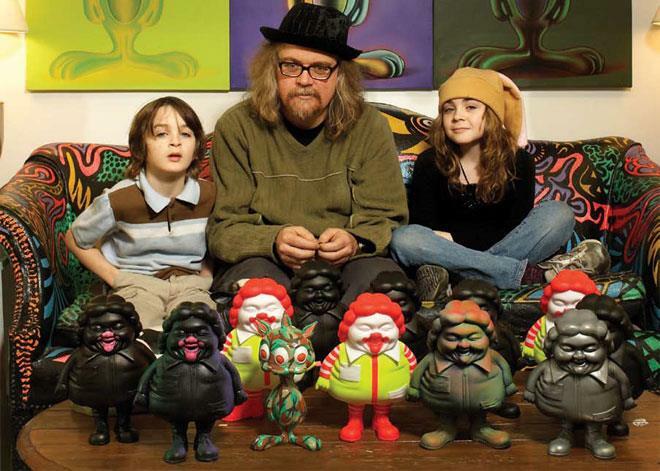 Ron English has demonstrated parody intentionally and consistently through his political pop art career. 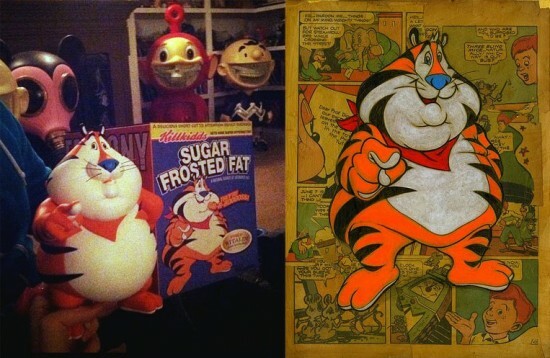 For his next designer toys, he’s set to turn his hijacked cereal box character, Sugar Frosted Fat Tony, into a vinylized riff on Kelloggs’ Tony the Tiger. English has “humorously exaggerated” the mascot’s heft, but does it read as diabetic and lethargic or just kind of cheerful and buoyant? 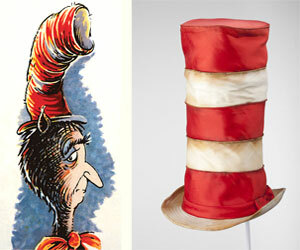 English has spent the last several years tweaking well-known characters into toy art statements. With this one though, has he gone far enough? 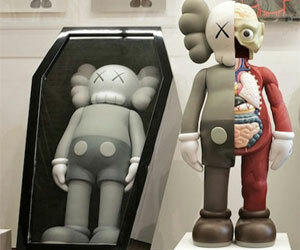 Whereas KAWS sometimes comes off as laughing at his fans [“Warm Regards,” anybody? ], English is careful to explain that the Tony designer toys are caricatures and not intended to mock diabetics. 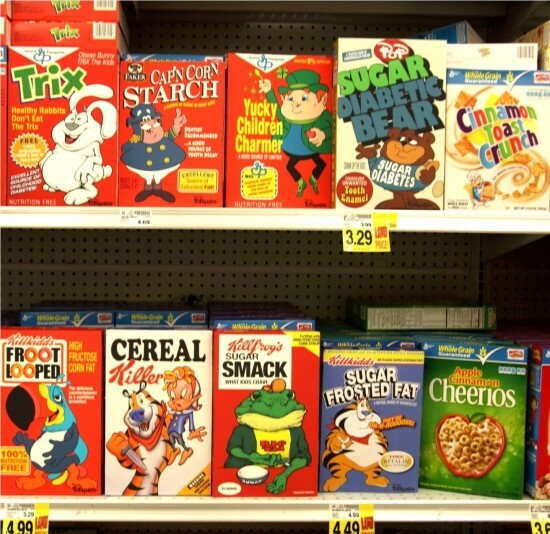 He says the disease runs in his family, and he wants to make sugary cereals seem unappealing to kids. 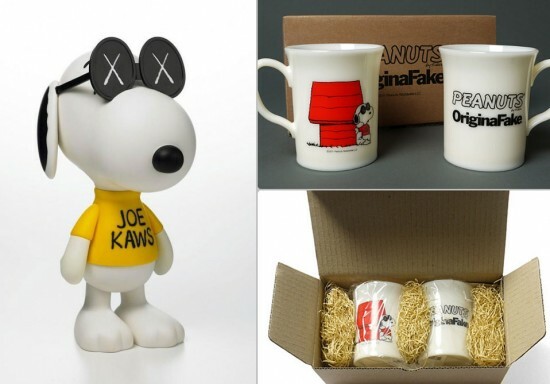 Speaking of cheap tricks, KAWS and OriginalFake continue to exploit their Peanuts license, now with new housewares. The set of plastic mugs, which can only be described as “Goodwill chic,” arrive in a plain cardboard box for the totally reasonable price of ~$65 USD. Behind those sunglasses, Snoopy (and KAWS) are smizing all the way to the bank. Respect… Not many bloggers or artist speak out their mind about this… I fully agree.. But as far as fans keep buying that stuff some artists will become more and more “lazy”? Wish art toys be more like music or movies… No matter how famous you are, if you put out a low quality product, either a record, a movie. The people won’t go to the teathers or wont buy the album… And the artist should return a year later with something much better in most of the cases… In toys fans just want to have everything no matter even if they don’t like it either. I heard some toy fans, “Hmmm I don’t really like it but I will buy it anyways” and they pay 200, 300 for a toy. 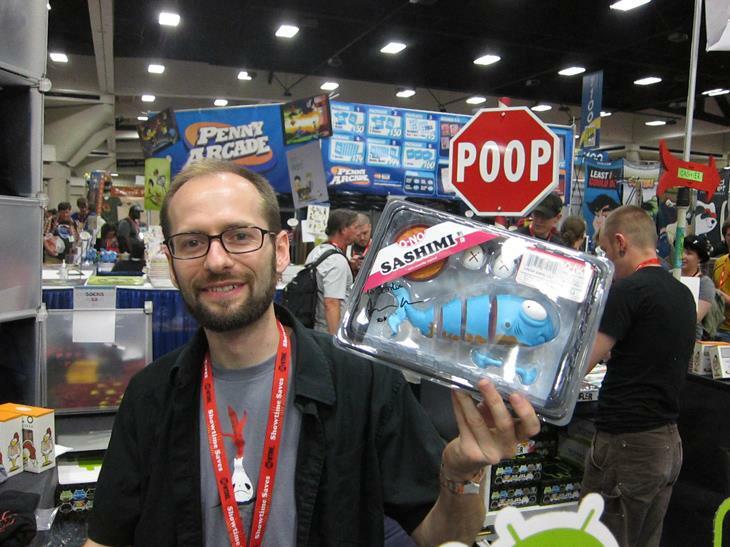 I think the problem with this is, as someone else pointed out on twitter yesterday, is that the “message” is moreso on the box and who displays the box with the toy? 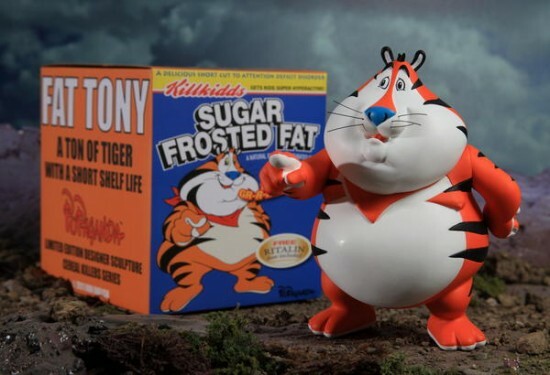 By itself, it’s just a fat, cute Tony the Tiger (the cuteness part made me excited about it initially). Just because something is fat doesn’t make it a statement about obesity/diabetes/whatever. I guarantee that if someone came over to my house and saw it in my display (by itself), they’d either take it for what it is or possibly ask why it looks like a fat Tony the Tiger. I guess I also don’t really have a theme with my toy collection or try to make a statement with my toys. Maybe if it were cheaper, I’d feel a little differently since I’d be in it for the cuteness factor, not the message factor. Respect to you sir. 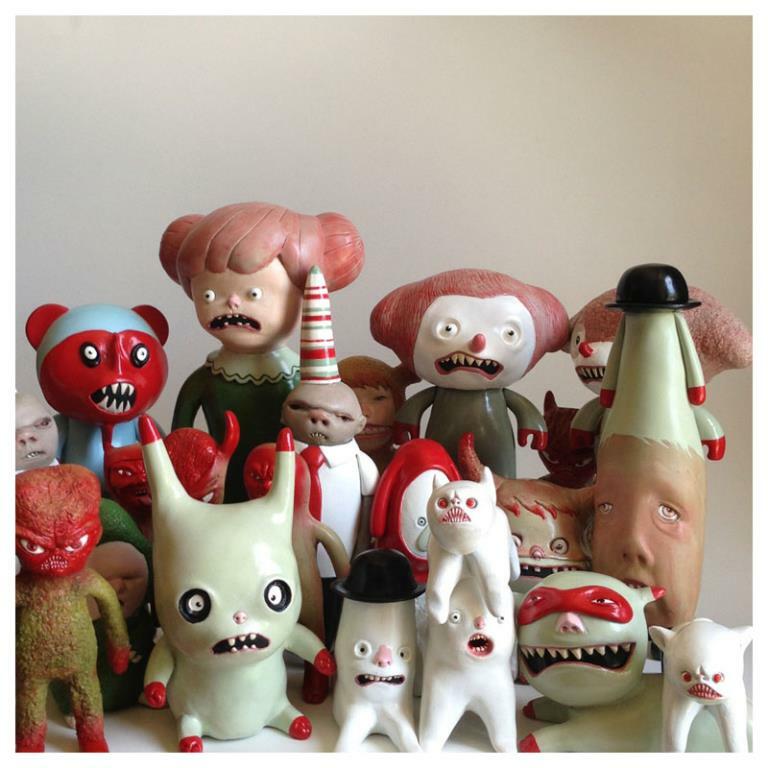 I’m a ‘blooming’ toy designer and I have learned a lot from your blog. This post is also the reason I’m going to put more effort and never slack with coming up with original and worth to collect designer toys. Good day to you sir! thank you so much for speaking out your mind on this topic, it seems like so many people think the same way but everyone keep quiet like it’s a Taboo or something, I am not against “parody” I just think there is a certain way to do it and as an Artist you should know where to draw the line. Anyway thank you for making the internet a more honest and opinionated place!! Respect to you sir. So just to make sure I understand this as an outsider, for all the depicted toys license fees were paid in advance to the trademark/copyright holders? 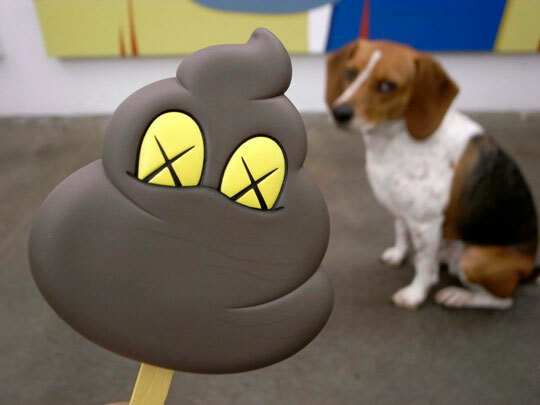 Kellogs and Mc Donald’s approve this critique and the artist approves them making money on their art? Thomas, I think those are great questions–and the answers aren’t always clear. 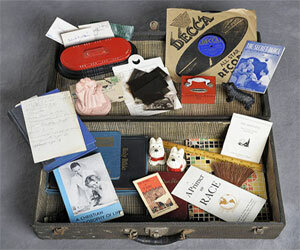 It’s something I really want to look into as kind of a ‘Part 2’ to this as soon as time presents itself!